In case you didn't see my Five Faves a couple of weeks ago , I wanted to change Friday's Five to Five Faves so if people would like to participate, they can do so any day of the week and not be restricted to posting on Friday. I will still be posting my Five Faves every Friday if you want to link up! So, now time to share five of my favorite books of all time! 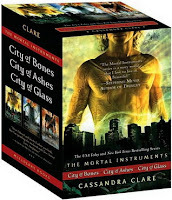 This series is an edge-of-your-seat romp with Demons vs. Shadowhunters, Jace vs. Clary (well not always...) and genral supernatural goings-on. Don't let the size intimidate you, these books are page-turners. The mysteries are well played out and the characters are either BFF-worthy or swoon-worthy. The Mortal Instruments is a must-read for any fan of Paranormal YA. I haven't read the prequel series: The Infernal Devices yet, but am sure it will be just as great. Empire Falls tells the story of a small town struggling to survive and the families living there trying to do the same thing. The beauty of this novel is the vivacity of the characters. By the end of the novel, you feel like you truly know them inside and out. Empire Falls also illuminates the influnce of fathers and family on our lives. 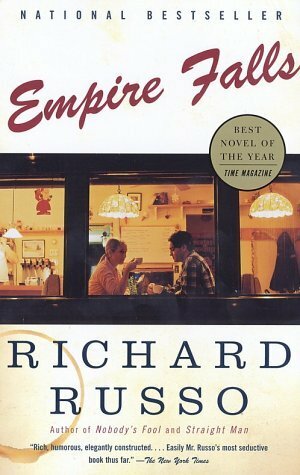 Empire Falls is definitely a "Great American Novel", but if you are intimidated or bored by that sort of thing, don't be. You're in good hands with Russo and the pages just fly by. The movie was alright, but the book is great! The Devil Wears Prada is a look inside the life of recent college grad, Andrea, who lands a job (despite herself and her lack of fashion sense) as an assistant to a titan of the fashion industry, Miranda Preistly (a thinly veiled portrait of Anna Wintour of Vogue fame/infamy). 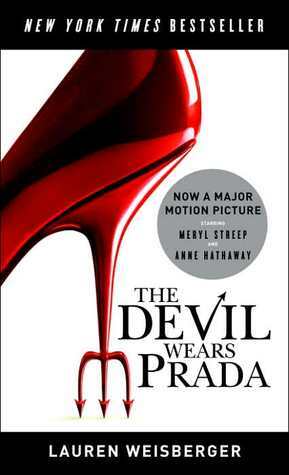 The Devil Wears Prada is a rollicking and fun read that asks the question, how far will we allow ourselves to be humiliated and how hard will we work to get ahead. And also, from Miranda's POV, surely, when will we stop whining about it and grow up? Wicked is not for the faint of heart. This is not your mother's Wizard of Oz tale. Nor is it very similar to the musical, Wicked (which I love, FYI), which is loosely based on the story. In Maguire's version of Baum's classic tale, Dorothy's a pest, Glenda's the real wicked witch and Elphaba's the heroine of or tale despite being green. 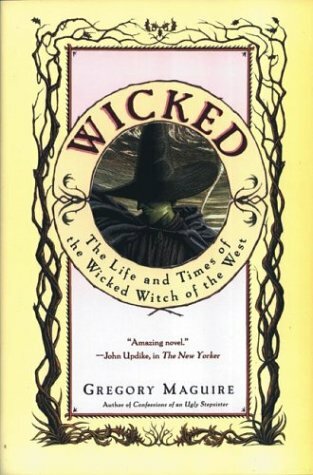 Wicked is a detailed and beautiful story of fighting prejudice against all odds and doing the right thing depite the costs. Put your thinking cap on for this one because, just like most of Maguire's novels, you will find it hard to just skim through this one, nor would you want to. You absolutely have to be in the right frame of mind to read Precious. Meaning if you even have a hint of PMS, this book can push you into suicide watch territory with a quickness. Just like in real lilfe, you have to get through the tough stuff to get on to the good, so hang in there and the payoff is amazing. What I loved so much about Precious though was the ultimate story of hope and survival depite the odds being stacked against you. If Precious can do it given her amazingly horrible situation, then you can survive anything. That's it for this week, friends! Don't forget: If you'd like to participate in Five Faves, feel free to add a link to your post below. Don't forget to link back to your BFF here at Steph's Stacks! If you don't have time for a full post, please add some your faves in the comments section below. I love wicked! I have it on my shelf too. I saw it on stage in London and had to buy the book too! Great faves. I read the Mortal Instruments and now I'm reading Infernal Devices. I liked Wicked but you are right about it not being your mother's ! I think Devil's Wear Parada was the first chick-lit novel I ever read.